It can be argued that great architectural design is about relationships - light, land, human, and environmental needs all must be aligned for a project to excel. 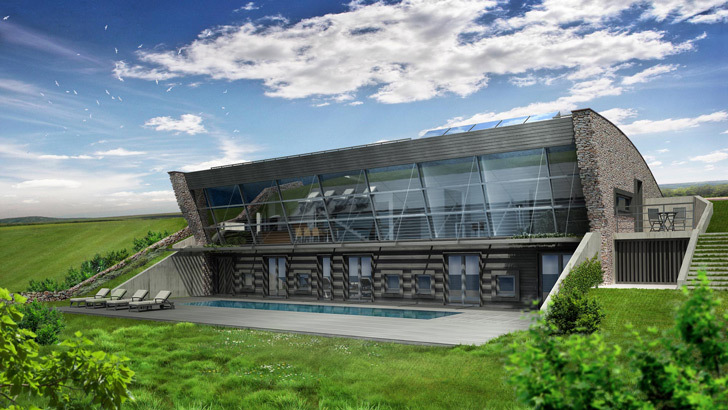 Ignatov Architects’ Equinox House answers all these needs with a celestial vision and Passive House performance. The home is deeply integrated with its site near the shore and close to the town Kavarna in Bulgaria. A sloped window set to the angle of the summer solstice transforms the home's interior into a measure of the seasonal waxing and waning of the sun. This facade also dramatically improves the performance of the house with huge windows overlooking the Black Sea. The Equnox house is a product of the needs of its site – Ignatov Architects set the home into a steep hill, lowering its profile. A vegetated roof and natural stonework ensure that the design does not distract from its natural environs. A solar oculus set into the roof measures the sun’s daily peak though the year, projecting the movement of the planet through space. The expansive high-performance, triple-glazed glass to the solar south is carefully oriented to meet Passive House standards. In the depth of winter the windows soak in solar BTUs, which are absorbed by the concrete construction and released gradually at night. In summer, the deeply angled upper windows block solar heat and a sunshade protects the lower story while adding poolside shade outdoors. A super insulated and tight shell keeps interior temperatures comfortable year-round. 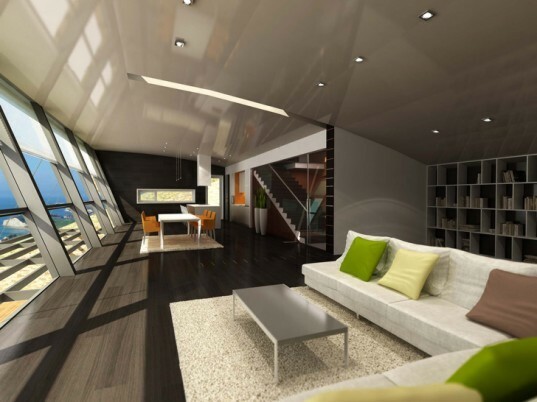 The Equinox house also harvests water and energy to reduce its environmental footprint. Collected rain water is used for domestic use, and reclaimed waste water from a bio-active wastewater treatment system is used for irrigation. Solar thermal panels help heat the pool, and when the sun doesn’t shine a ground-source heat pump supplements the few BTU’s the home needs to operate. All this melts away as the experience of the home takes center stage – it’s a low-impact sensuous space that tracks the sun throughout the year, calling attention to this important resource on a planet circling a star. The Equnox house is a product of the needs of its site - Ignatov Architects set the home into a steep hill, lowering its profile. A solar oculus set into the roof measures the sun's daily peak though the year, projecting the movement of the planet through space. The expansive high-performance triple-glazed glass to the solar south is carefully oriented to meet Passive House standards. In the depth of winter the windows soak in solar BTUs, which are absorbed by the concrete construction and released gradually at night. In summer, the deeply angled upper windows block solar heat and a sunshade protects the lower story while adding poolside shade outdoors. A super insulated and tight shell keeps interior temperatures comfortable year-round. All this melts away as the experience of the home takes center stage - it's a low-impact, sensuous space that tracks the sun throughout the year, calling attention to this important resource on a planet circling a star.